If you’re looking for a different twist on the wagon or compact SUV near San Marcos, the new MINI Countryman is a great choice. Fortunately, at MINI of Escondido, we’ve got 22 competitive new MINI Countryman vehicles for sale. Offered with features like ALL4 all-wheel drive, an 8.8-inch touchscreen with navigation, and Apple CarPlay™, the Countryman is a high-tech and responsive machine. 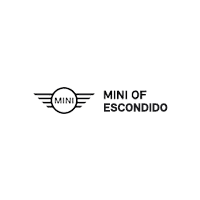 Check it out today alongside a range of special offers at MINI of Escondido, and contact us to set up a test drive near San Diego today! What Do Drivers Say About the New MINI Countryman? Edmunds, a major automotive resource praises the MINI Countryman for its uniqueness: It’s a “sporty and fun alternative to the standard set of small crossovers and wagons.” But critics aren’t the only ones glowing; customers are, too! Customers at Cars Dot Com are overwhelmingly positive, for example. Ready to experience what critics and drivers alike are saying? Contact us today!